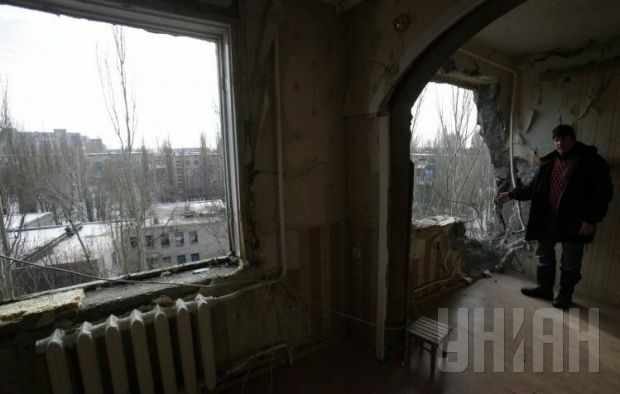 Russian-backed militants are firing mortars on residential areas in the town of Avdiivka in Donetsk region, head of the Interior Ministry in Donetsk region Viacheslav Abroskin wrote on his Facebook page on Thursday. "Avdiivka. The militants have been firing mortars on the town for more than 30 minutes. Direct hits on houses on Nakhimov and Turgenev Streets. The reports are being verified now," he said. "[But] the investigative team of Avdiivka city police department can’t go to the scene because of the incessant shelling," Abroskin said.